First, what did Gaffin mean by the crucial term “biblical theology”? And does the same term today designate more than one thing? In fact, it designates several things, and some of them are not as healthy as what Gaffin envisioned. Vos and Gaffin after him both make it clear that this study is to be conducted without the interference of the skeptical, rationalistic, evolutionistic dispositions of the Enlightenment. The work of biblical theology has a historical focus, in distinction from the topic focus of systematic theology. But the two disciplines are to be viewed as complementary, and in no way competitive. Vos does not say much about how the two disciplines would fruitfully interact so as to enhance one another. Conceivably one might conclude from Vos’s silence that they are not supposed to interact, but merely to grow separately. But that does not represent Vos’s own thinking.16 Just before his discussion of the relation of his discipline to systematic theology he discusses the relation of biblical theology to “Sacred (Biblical) History” and to “Biblical Introduction.”17 His main focus is on distinguishing the disciplines, which he must do in order to make clear the particular role of biblical theology. At the same time, he clearly endorses the mutual interaction of the disciplines. 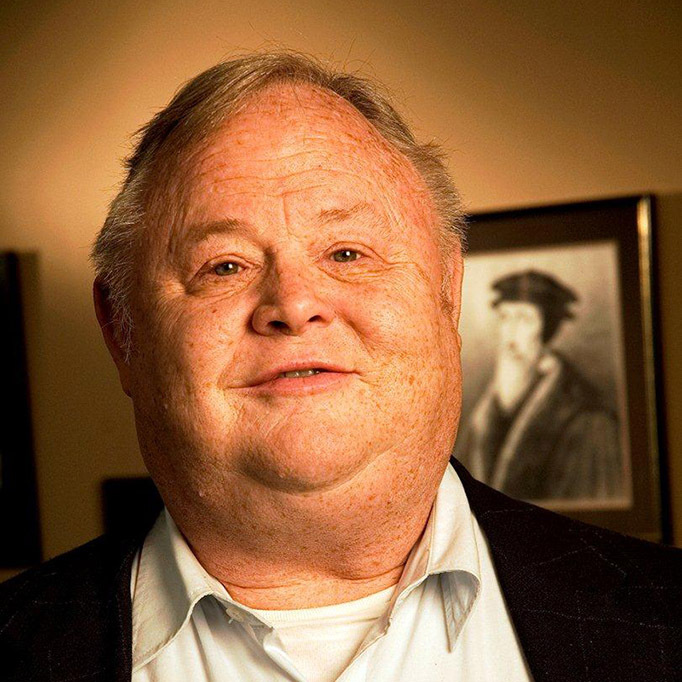 One might guess that he does not spend more time spelling out the various kinds of interaction partly because his purpose in defining biblical theology requires him to focus on the distinctions, and partly because the interactions may be of many kinds, and are best not restricted to a few predetermined routes. Vos does tacitly use input from systematic theology in his formulation of the character of the discipline of biblical theology. He requires above all that biblical theology work with a biblically grounded doctrine of special revelation and with a conviction about the divine authority of the Bible.18 He also draws on biblical teaching about the sovereignty of God and the unity of God’s plan of redemption. Vos does not explicitly point out that he is drawing on systematic theological doctrine, but he assumes that his readers will recognize what he is doing. That is, for the most part he presupposes rather than debates the use of orthodox theology as a foundation for biblical theology. That shows how integrated systematic theology is within Vos’s own methodology. There is no question for Vos that, as the newer discipline, biblical theology should build its investigatory framework using all the pertinent resources from centuries of systematic theology. Rightly conceived, biblical theology presupposes the central truths of Reformed systematic theology. In the latter sentence Gaffin is probably thinking primarily of the reluctance of some Reformed people to embrace biblical theology as a stimulus for their systematic theological reflection. Why do they ignore it? They may be thinking of independent, parallel disciplines; or they may associate the name “biblical theology” with its checkered history before Vos redefined it; or they may simply think that biblical theology as the newer discipline has little to teach the mother discipline, systematic theology. And how might biblical theology provide a root for systematics? Gaffin suggests three ways. (1) Biblical theology reminds systematic theology of God’s historical activity as a theme integral to redemption and therefore one to be incorporated within systematic theology itself.21 Gaffin points out that systematic theology of past generations has already done this, but that one must continually watch out for a tendency to “abstraction” and “timeless” formulations–which in the end threaten to make Christianity into a religious philosophy rather than the announcement of the good news of Jesus’ accomplishment. (3) A systematizing process is already beginning to take place within Scripture, as one can see especially in looking at the “theology” of Paul or of Hebrews.23 Systematic theology ought to learn from and build on these beginnings. One may mention briefly a few of the pressures that beset us: (a) desire for a neutral methodology that would enable us to converse both with mainstream biblical scholarship and with the postmodern world; (b) suspicion of and consequent disrespect for classical systematic theology, which one may be tempted to view as outdated and unaware of modern issues; (c) desire to “follow the evidence where it leads,” while dispensing with the authority of the Bible; (d) temptation to think that the best theology would match biblical vocabulary (related to Barr’s critique). And the attitude can infect evangelicals as well. Some years ago at one evangelical seminary, a professor was asked in class how his teachings about one NT writer could possibly be harmonized with other NT writings. He replied that he was a biblical theologian; that was not his concern. In other words, his biblical theological research could be conducted in independence not only of systematic theology but even of the authority of the rest of the NT. Many people within the scholarly guild may resist the idea that systematic theology should have influence on exegesis and biblical theology. For one thing, it threatens to introduce circularity into the entire theological process. Systematic theology is clearly dependent on exegesis. If exegesis in turn receives influence from systematic theology, the process goes in a circle. Therefore, so it is reasoned, for the sake of rigor and objectivity, the flow of reasoning should go in a one-way direction, from exegesis to biblical theological synthesis to systematic theological synthesis. The scholarly guild may also worry that influence from systematic theology reintroduces the alleged “religious biases” from which the Enlightenment sought to free us by following an “objective,” “scientific” methodology. But postmodernism has made people more alert to the fact that Enlightenment premises may be just as “biased” and just as confining as any traditional systematic theology. One must get one’s framework of assumptions–one’s presuppositions–from somewhere. If one does not get them from healthy, biblically grounded systematic theology, one will most likely get them from the spirit of the age, whether that be Enlightenment rationalism or postmodern relativism or historicism. The idea of systematic theology influencing biblical studies begins then to look much more attractive; in fact, it is the only sane approach that takes with seriousness the corrupting influence of hermeneutical assumptions rooted in human rebellion against God and desire for human autonomy. Vos conceived of biblical theology as a unified discipline, the “History of Special Revelation.” But nowadays we can distinguish different related emphases. Let us list some of them, and assess their relation to systematic theology. First, one can, like Vos, conduct an overview of the history of the whole of special revelation.30 The character of that overview, as Vos himself indicates, depends on what one presupposes about special revelation and the authority of the Bible. Second, one can follow the historical development of a single theme within the whole of special revelation, or a small cluster of related themes. One may, for example, follow the theme of covenant, or kingship, or divine warrior, or theophany, or promise, or temple. Sometimes such thematic biblical theologies use their theme as a kind of organizing center for the whole of the OT or the whole of the Bible.31 Such information from themes may suggest ways of enriching systematic theology. But in this area arises a danger of abuse. One may try to use thematic study to form biblical “concepts” to impose on systematic theology. One may fall into the error criticized by James Barr, namely of thinking that biblical “concepts” arise ready-made from vocabulary stock. Or, more broadly, one may not be aware of how much one’s own interests pick out from among the occurrences of a particular theme the features in which one is interested.32 The lack of good methodology then leads to imposing one’s categories onto a systematic theology that has other interests. For example, people operating within a “biblical theological” mindset may criticize Reformation and post-Reformation systematic theology for not making the theological terminology for “justification” or “election” or other terms match biblical usage. In this criticism there is more than one failure. First, such criticism may fail to pay attention to James Barr’s distinction between word and concept.33 The same word can be used with different senses in different contexts, or with different weight in its contribution to the meaning of various whole sentences. To try to build a unified concept out of all the uses may then be problematic. Theological conceptualizations need to be based primarily on whole sentences and paragraphs. Second, the above criticism of systematic theology fails to recognize the sophistication of the best systematicians. John Calvin, for example, already recognized a difference in usage between Paul and James concerning the Greek word for “justify” (dikaioō).34His systematic theological discussion on the topic of justification was built not narrowly on an alleged uniformity in NT vocabulary usage, but on the whole teaching of Paul–and James as well–against the even larger background of the OT teaching on the holiness of God, the sinfulness of man, and the need for eschatological perfection. As still another kind of biblical theology, one may study the distinctive theological and thematic shape of different biblical books and different human authors. Vos engaged in such study in his work on The Pauline Eschatology and The Teaching of the Epistle to the Hebrews.36 Interestingly, Vos in these works appears to move past the boundary that he himself earlier put in place in his definition of biblical theology. Biblical theology, he said earlier, is not only “History of Special Revelation,” but “deals with revelationas a divine activity, not as the finished product of that activity.”37 But in these later works of his Vos deals with the “finished product,” namely the Pauline corpus and the Letter to the Hebrews. But the situation is more complex than it may appear. In looking at Pauline eschatology Vos discusses the Jewish background of “two-age” thinking, and so he does include a diachronic or historical orientation that reflects on the possible origins and development of Paul’s thinking.38 In addition, his entire discussion of Paul’s thinking could be construed as concerned with what Paul thought even before he started to pen his letters. To this extent Vos would be focusing on the history of special revelation leading up to but not including the Pauline letters. The letters would then be used diachronically, as evidence for a Pauline eschatology that lies chronologically as well as logically “in back of” them. But one can see at this point that the distinction between the process and the product is becoming a fine one. Other scholars will come to write about Paul’s theology with almost exclusive interest in what is actually expressed in the finished Pauline letters.39 And Vos himself uses such an approach in his book on The Teaching of the Epistle to the Hebrews. Vos accepts the common judgment that the author of Hebrews was not Paul,40 and so nothing is known about him other than what we can infer from Hebrews itself. In such a circumstance, the diachronic distinction between an author’s views prior to writing and the views expressed in writing becomes useless, and so interest in historical development drops out. And so we find synchronic, topically organized studies of Pauline theology or Lucan or Johannine theology. Strictly speaking, these may not fit into Vos’s definition of biblical theology as focused on process; but it is useful to enlarge his definition to include them. Undoubtedly there is positive value in such studies. They provide stimulus for systematic theology to refine its exegesis of key texts by noting the context of the book and the human author. But this kind of study is also subject to abuse. If the study is set loose from the conviction that the various books of the Bible have a common divine author, the different theologies may be set at odds with one another. Or even different books by the same author may be set at odds, as when a scholar alleges there are contradictions between statements in different Pauline letters. We can even recognize differences among different books from the same human author. An interpretation of Paul’s “theology” needs to pay attention to the diverse circumstances in view in the different letters by Paul. On the one hand, we should believe that Paul’s teaching is never inconsistent with itself or with other biblical books; on the other hand, we can legitimately focus on the way in which as a pastor and a missionary he adapts the textures of his communication to the circumstances and needs of his readers. Think of the variety when one compares 2 Corinthians, Colossians, Titus, and Philemon. In this sense one may dare to speak of a distinct theological texture in each distinct letter. Such adaptation and such distinctiveness needs to be considered in systematic theology’s exegetical appeals to particular texts. At such points exegesis, biblical theology, and special introduction intersect. All are pertinent to accurate systematic theology. Global restructuring of systematic theology? Minimally, systematic theology should enrich its exegetical sensitivity in dealing with particular NT texts that allude to inaugurated eschatology. This incorporation would correspond to Gaffin’s point (2) above about more faithful exegesis on the part of systematicians. Second, systematic theology might incorporate the insights of inaugurated eschatology by explicitly discussing the relation of events at the Second Coming of Christ to his First Coming, and the relation of both to the present Christian life. This topical incorporation corresponds to Gaffin’s point (1) about the inclusion of formulations about history within systematic theology. But one wonders most about the possible implications of Gaffin’s point (3), concerning the systematizing elements in Paul and in Hebrews. What does systematic theology learn from the systematizing tendencies within the NT itself? Does Gaffin imply merely that we should learn from them in whatever way seems appropriate? Or does he imply more? At a maximum, does he imply that our present-day thematic organization of systematic theology as a structural whole must necessarily duplicate the structure of Paul’s theology? And what would that look like? This proposal may sound like a thorough-going recasting of systematic theology, or even the disappearance of systematic theology, since “biblical theology” can take over its role. But in this quote Gaffin still approves the “topical divisions” or topical arrangement characteristic of systematic theology. At a surface level, this arrangement does not match either 2 Corinthians or Hebrews or any other NT book–though each of these has some degree of topical grouping. Gaffin is not proposing to do away with these surface differences. The discussion is not really about the literary structure of individual NT books, but about the topical structure of modern books. Books on Pauline theology have their topical subdivisions, and so do books on systematic theology. But the two typically differ. So which is better? To answer this question, one might begin by asking, “Better for what purposes?” A biblical theology of Paul is doubtless better at bringing out distinctives in Paul. By contrast, systematic theology aims at a synthesis encompassing not just Paul but the entire Bible. So it should succeed better at expressing the overarching doctrinal unity. Conceivably systematic theology might include a distinct subsection, when necessary, devoted to Pauline thinking about a particular subject. But that subsection would eventually be integrated into a larger synthesis of all the biblical teaching on a particular subject. In addition, systematic theology typically aims at addressing both the issues of past generations of systematic reflection45 and the questions being raised in contemporary cultures. 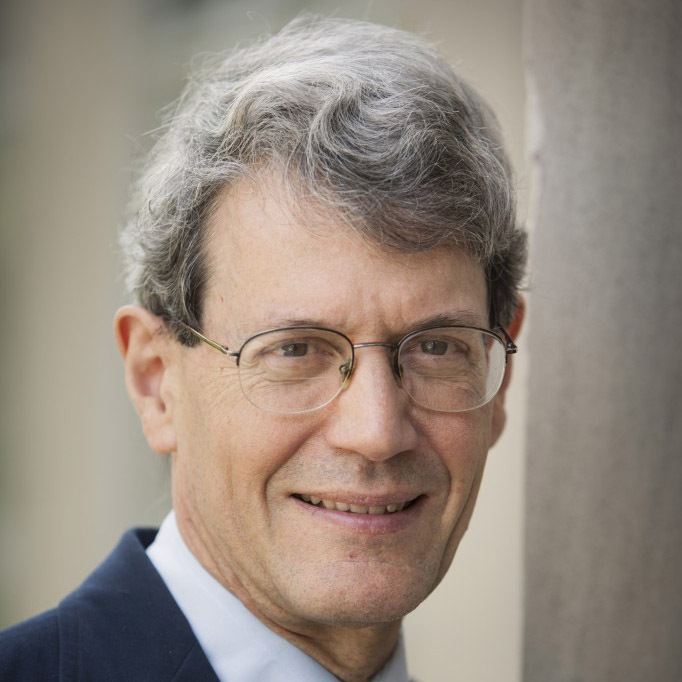 By contrast, biblical theology aims more at historical understanding–not necessarily restricted only to Vos’s focus on the process of special revelation, but also including study of the configuration of the “theologies” of various biblical books within their immediate and epochal historical environment. The aims of the two disciplines are complementary, and it is understandable that the difference in aims should sometimes result in different kinds of topical arrangements. Moreover, one need not write theologies of the entire spectrum of NT books using only one overarching theme like inaugurated eschatology. Why not write the theology of Paul with resurrection and union with Christ as a central organizing theme, while a theology of the Synoptics would have as a central theme the coming of the kingdom of God? Then a theology of Hebrews would focus on the superiority of Christ, particularly in his high priestly ministry; a theology of John might make central the theme of the revelation of God in Christ; a theology of Revelation might choose theophany and spiritual war as central; a theology of James might make wisdom central; a theology of 1 Peter might choose suffering for Christ as central. A theology of 2 Thessalonians–why not contemplate such a thing?–might make central the hope for the Second Coming. A theology of the Pastoral Epistles might choose the theme of gospel ministry as central. In these proposals I am tacitly using the idea of multiple perspectives: a particular theme can be illuminatingly used as a perspective on the whole.50 Any particular theme within the Bible is related, by means of the unity of the plan of God, to everything else in the Bible. By means of relations, one can start with one theme and use it as a perspective from which to view the whole of the Bible, or the whole of (say) Pauline theology. Holiness, for example, though a minor theme in Paul’s writings, can become a perspective on Pauline theology.51 Thus there is no one way in which we must organize our construal of Paul’s theology. Paul’s letters do show the unified character of his theological thinking, and his commitment to the unchangeable truth of his gospel. But they show equally his flexibility in addressing particular churches and particular situations using differences in structure, theme, and tone. The differences are so striking, in fact, that they have sometimes been appealed to as a basis for postulating that certain of the letters do not actually come from Paul. Scholars may fasten onto fairly minute differences as grounds for differences of authorship. It would help if they could distance themselves from the fairly uniform style and vocabulary that characterizes much scholarly production, and imagine living in the variety of rough-and-tumble pressures of missionary work. In the end, one of the best arguments for not conforming systematic theology to a single “structural” model deriving from NT biblical theology is that Paul’s own example counts against it. In addition to stability in his adherence to truth, Paul’s exhibited flexibility in his mode of delivery of the truth. Therefore it is surely permissible for systematic theology to do the same.52 Biblical theology and systematic theology both need robust interaction with one another for the sake of deepening their methodological and doctrinal soundness. But each may legitimately adopt a variety of structures in communication, and not feel bound to copy in its macrostructure the structures typical of its companion. 1 Richard B. Gaffin, Jr., “Systematic Theology and Biblical Theology,” Westminster Theological Journal 38/3 (spring, 1976) 281-299. Gaffin points especially to John Murray, “Systematic Theology: Second Article,” Westminster Theological Journal 26/1 (Nov., 1963), 33-46; Geerhardus Vos, The Idea of Biblical Theology as a Science and as a Theological Discipline (New York: Anson D.F. Randolph, 1894); and Geerhardus Vos, Biblical Theology (Grand Rapids: Eerdmans, 1948). He also notes the attitudes of other Reformed theologians before Vos’s time. 2 See also the 2001 compilation by Lee Irons on “Biblical and Systematic Theology: A Digest of Reformed Opinion on Their Proper Relationship,” <https://www.upper-register.com/papers/bt_st.html>. 3 Gaffin, “Systematic Theology,” 282n2, cites several surveys, the lengthiest of which are W.J. Harrington, The Path of Biblical Theology (Dublin: Gill and Macmillan, 1973), 19-259; and Hans-Joachim Kraus, Die Biblische Theologie: Ihre Geschichte und Problematik (Neukirchen-Vluyn: Neukirchener Verlag, 1970). 4 Vos, Biblical Theology, 17. 5 Gaffin, “Systematic Theology,” 283; see also Vos, Biblical Theology, 17-20. The watershed event was Gabler’s inaugural address in 1787, De justo discrimine theologiae biblicae et dogmaticae regundisque recte utriusque finibus (“On the proper distinction between biblical and dogmatic theology and the correct delimitation of their boundaries”). 7 Vos, Biblical Theology, 19-20. 8 James Barr, The Semantics of Biblical Language (London: Oxford University Press, 1961), 5-6, passim. 9 Gerhard Kittel, ed., Theological Dictionary of the New Testament (Grand Rapids: Eerdmans, 1964-76). 11 Vos, Biblical Theology, 13. 13 Ibid., 23. So also Murray, “Systematic Theology,” 33. 14 Vos, Biblical Theology, 15. 16 See in particular Gaffin, “Systematic Theology,” 290, quoting Vos, Biblical Theology, 25. 17 Vos, Biblical Theology, 24. 19 Gaffin, “Systematic Theology,” p. 290; see also Richard B. Gaffin, Jr., “By Faith, Not by Sight”: Paul and the Order of Salvation (Bletchley, UK/Waynesboro, GA: Paternoster, 2006), 16. 20 Murray, “Systematic Theology,” 45, quoted in Gaffin, “Systematic Theology,” 291. 21 Gaffin, “Systematic Theology,” 292-293. 25 The same one-directional flow is observable in Benjamin B. Warfield, “The Idea of Systematic Theology,” in Studies in Theology (Edinburgh/Carlisle, PA: Banner of Truth Trust, 1988), pp. 49-87, appearing originally in Presbyterian and Reformed Review 7 (1896) 243-271. 26 Gaffin, by mentioning Gabler late in his discussion, shows he is aware of this danger: “There can be little question that this is what has largely happend since the time of Gabler” (ibid., 290n22). 27 See Vos, Biblical Theology, 19-20. 28 Cornelius Van Til, The Defense of the Faith, 2d ed. (Philadelphia: Presbyterian and Reformed, 1963), especially pp. 99-105; and other works. See also John M. Frame, Apologetics to the Glory of God: An Introduction (Phillipsburg, NJ: Presbyterian and Reformed, 1994), 9-14. 29 See Vern S. Poythress, “The Presence of God Qualifying Our Notions of Grammatical-Historical Interpretation,” JETS 50/1 (2007) 87-103. 30 Vos works out this overview in Biblical Theology. 31 See, e.g., the surveys in Gerhard F. Hasel, Old Testament Theology: Basic Issues in the Current Debate (Grand Rapids: Eerdmans, 1991); Gerhard F. Hasel, New Testament Theology: Basic Issues in the Current Debate (Grand Rapids: Eerdmans, 1978). 32 See the discussion in Vern S. Poythress, Symphonic Theology, 74-85. 34 John Calvin, Institutes of the Christian Religion , 3.17.11-12. Calvin also notes a difference in the terms “faith” and “believe” (pistis, pisteuō). 35 See Poythress, Symphonic Theology, 55-91. 36 Geerhardus Vos, The Pauline Eschatology (Grand Rapids: Eerdmans, 1961); Geerhardus Vos, The Teaching of the Epistle to the Hebrews (Grand Rapids: Eerdmans, 1956; reprint, Nutley, NJ: Presbyterian and Reformed, 1975). 37 Vos, Biblical Theology, 23, 13. 38 Vos, Pauline Eschatology, 1-41. 39 Richard B. Gaffin, Jr., Resurrection and Redemption: A Study in Paul’s Soteriology (Phillipsburg, NJ: Presbyterian and Reformed, 1987), may be reckoned as one such example. The book is based on Gaffin’s dissertation, “Resurrection and Redemption: A Study in Pauline Soteriology,” Ph.D. dissertation, Westminster Theological Seminary, 1969, which precedes Gaffin’s article, “Systematic Theology” (1976). 41 Vos, Biblical Theology, 16. 42 Gaffin, “Systematic Theology,” 298-299. 45 Thus historical theology has a role in interacting with systematic theology. Gaffin also notes that historical theology should be added to the picture (Irons, “Biblical Theology and Systematic Theology”). 46 See also John M. Frame, The Doctrine of the Knowledge of God (Phillipsburg, NJ: Presbyterian and Reformed, 1987), 191-194. 47 George E. Ladd, A Theology of the New Testament (Grand Rapids: Eerdmans, 1974). Ladd also grouped together 2 Peter and Jude, because of the important thematic commonalities; and he put Revelation in a separate chapter, though it may have the same author as the Gospel of John and 1-2-3 John. 48 But note that Donald Guthrie offers just such a classical topical organization in New Testament Theology (Downers Grove, IL: InterVarsity, 1981). 50 See further Vern S. Poythress, Symphonic Theology: The Validity of Multiple Perspectives in Theology (Grand Rapids: Zondervan, 1987); Frame, Doctrine of the Knowledge of God, 191-194. 51 Vern S. Poythress, “Structural Approaches to Understanding the Theology of the Apostle Paul,” D.Th. dissertation, University of Stellenbosch, 1981. 52 Such a vision for systematic theology has affinities to John Frame’s idea of theology as application (Frame, Doctrine of the Knowledge of God, 81-85).